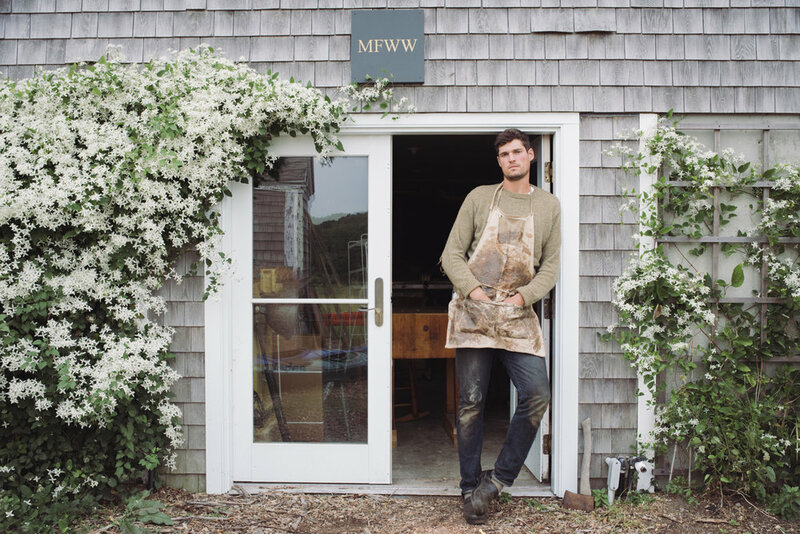 Marshall Farm Wood-Works is a small furniture company located on the Island of Chappaquiddick. Designer/Craftsman Collins Heavener draws from both modern and traditional furniture design to build simple, yet elegant furniture. Each piece is built by hand with the intent that it be used for generations. MFWW furniture is custom made to meet the wants and needs of each client. Collins works closely with each client to discuss style, material choice, sizing, and the small details that make each piece unique. All furniture shown here was built on commission and has been sold. If you are inspired by any of the pieces here or have the makings for an idea of your own, please get in touch.